OAHSPE Book of Inspiration CHAPTER XI:17 "Study thy Creator in all things, and IN THYSELF IN PARTICULAR!" ^-- Above Removing OAHSPE's Enigma By Jim Dennon. Atmospherea is a type of Quarantine for mankind until they can purge themselves of unchecked hominidae tendency towards war-making and violent behavior and reach pure peaceful spiritual cosmic consciousness. This statement by Jesus is speaking of a promised return (in a future time) But as the days of No’-e were! This spelling, No’-e, was not an honest mistake by the transcribers of the original Canon and all who read this word think that it is referring to the time of the biblical flood and Noah’s Ark saving the God selected “Good” things. I have only found this spelling of No’-e, in one other book that was advertised in FATE back in the 1970’s called OAHSPE (©1882). Between pages 98 – 99 of this book is located a graph called CEVORKUM which illustrates the Roadway of the Solar Phalanx (our Sun’s solar system) for 25,000 years [Ed Holt here speaks of the 25,920 solar astrological cycle, not the same as CEVORKUM in Oahspe which is a 4.5 million year circuit, see Extrasolar planets, CEVORKUM, Light speed page]. 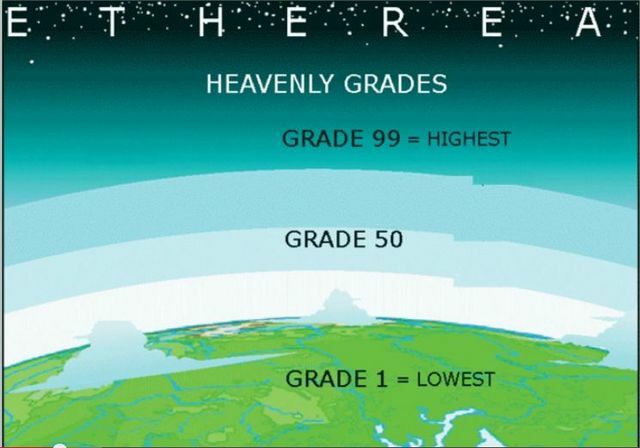 For the grades see Table of Prophecy. This graph is divided into eight periods of about 3,000 years, (8 X 3,000 = 24,000) called arc’s, and shows the travel through the universal constellations of which one (you guessed it) is named Noe. One chapter of Qahspe, entitled "SYNOPSIS OF THE SIXTEEN CYCLES", describes a period of time "BEING FORTY-EIGHT THOUSAND YEARS; COVERING A PERIOD FROM THE CREATION OF MAN DOWN TO THE SUBMERSION OF THE CONTINENT OF PAN, CALLED BY THE ANCIENTS THE FLOOD OR DELUGE; WHICH WAS TWENTY-FOUR THOUSAND YEARS B.K. [ before Kosmon* eh], SELECTED FROM THE RECORDS IN THE LIBRARIES OF HEAVEN." 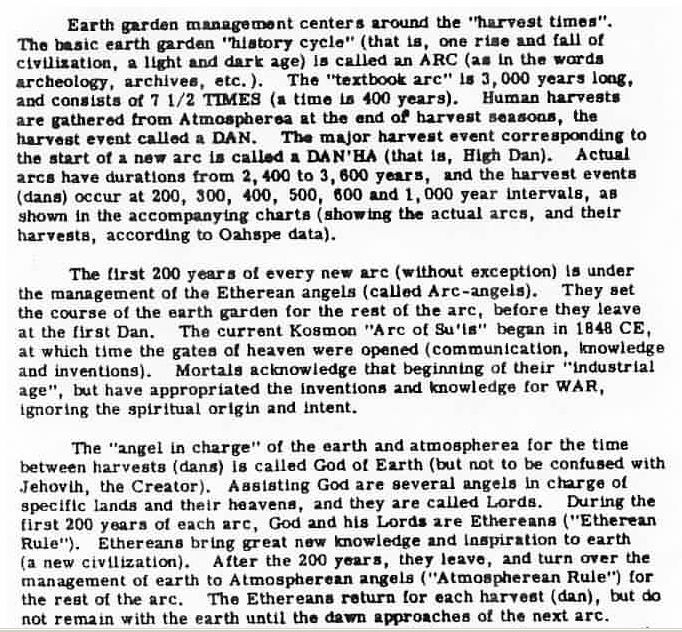 The first recorded HARVEST by a high raised angel-son of the creator describes his approach to earth in his fireship and halting just outside the moons orbit for three days with the inhabitants of earth and earth's heavens trembling in fear at the site. Then it descended toward earth and halted another three days at 90,000 miles with man observing in awe at its magnificence. At the time of this first Harvest, "fifteen hundred million Brides and Bridegrooms" were removed and joined with The Pure In Spirit. Is this, our current period in time, the close of a Three Thousand Year Cycle? Is this companion object the vehicle to be used to HARVEST the Brides and Bridegrooms who have been found worthy to join the Pure In Spirit and have graduated from their earthly bindings? [the next Ascension of Brides and Bridegrooms will be one Dan (200 years) after the beginning of Kosmon (1848) which will be in the year 2048. Jesus [Yeshu] said "of that day or hour no one knows". In Oahspe the year(s) is given. Kosmon (our present age) is referred to as the actual period in time when the earth's inhabitation was completed by the people led out of Egypt by Moses. The creator allowed Three Thousand Four Hundred Years for this to be accomplished. If you consider that the west coast of Guatama (North America) was settled by the free people (United States of America) in 1849-50 at the time of the California Gold Rush as the completion of the worlds inhabitation and the Dawn Of Kosmon. "but, in this era, I come not to an exclusive people, but to the combination of all peoples commingled together as one people." "henceforth, My chosen shall be of the amalgamated races, who choose Me. and these shall become the best, most perfect of all the peoples on the earth." "And they shall not consider race or color, but health and nobleness as to the mortal part; and as to spirit, peace, love, wisdom and good works, and one Great Spirit only." 2. Hindoo scripture’s relate to, "Hirto, Son Of Neph, born of a egg, descended out of the highest heaven." "So when the egg was broken, one-half of the shell ascended the other half became the foundation of the world." This entity Neph - Knepf was appointed God of earth, by the creator, during earth's sixteenth Cycle of Three Thousand Years, and during this cycle , the great flood or deluge occurred which sank the then continent of Wagga (Pan). All the unholy were destroyed and only the wholly, the little people - the Ihins, were saved. They floated off in "one hundred and thirty-eight ships" "with a total of twelve thousand and twenty saved". Two of these ships came to Central America and these were the mound builders that populated the America's. The mound builders were called the little people and discovery of small stone coffins in 1828 near Sparta, White County, Tennessee, in one half to one acre burying grounds. "The greatest length of the skeletons was nineteen inches long" and " their heads to the east and in a regular order, laid on their backs, and with their hands on their breasts". A book published in 1853, "refers to the diminutive (unhewn stone eh) sarcophagi found in Kentucky and Tennessee" described "about three foot in length by eighteen inches deep". And again, in 1834, "possible remains of an Egyptian colony that was found in a catacomb near Lexington, Kentucky. Several settlers discovered several hundred mummies in a cavern, and assuming they belonged to an ancient Indian tribe, dragged them out of the cavern, tore away their linen bandages, and burned their bodies". If the Serpent Mound in Southeastern Ohio is an Ancient ( possibly twenty-four thousand year) remnant, why is it not covered with earth, as archeologists have to excavate, sometimes 18 to 21 feet to discover the ancient sites in other parts of the world? "Darkness had over spread the land of the earth in some regions for seven hundred years, so that the sun shone not, save as a red ball of fire. And nebula fell in many places to a depth of three lengths (seventeen feet - ED. ), so that even the places of the great cities of the earth, which had been destroyed, were covered up, and it was like a new country." The then mathematicians discovered that there would be no fall of condensed nebulae over North Guatama [North America eh] and the creator left these remnants to prove that the little people existed before the red man, to be discovered during our time when the white man occupied this country. But the white man has to fulfill his destiny as stipulated by the creator, because "Oahspe" states that our habitation of America is the completion of habitation of planet Earth. Clovis-Anzick-1 ancient DNA have matches with living people! The Anzick site is a human burial which occurred approximately 13,000 years ago, part of the late Clovis culture, Paleoindian hunter-gatherers who were among the earliest colonizers of the western hemisphere. The Anzick site, sometimes called the Wilsall-Arthur site and designated as Smithsonian 24PA506, is a human burial site dated to the Clovis period, ~10,680 RCYBP. Anzick is located in a sandstone outcrop on Flathead Creek, approximately one mile (1.6 kilometers) south of the town of Wilsall in southwestern Montana in the northwestern United States. Mesoamerican 45.72%, North-Amerind 33.40%, South-America_Amerind 15.45%, Arctic-Amerind 0.92%, East-South-Asian 1.39%. Map showing Clovis-Anzick-1 ancient Native American site south of Wilsall (black square on map) in southwestern Montana. Notice the nearby Shoshone and Flathead Indian Territories (Both the Shoshone and Flathead Indians are mentioned in Oahspe God's First Book Chapter XXIV :16 and Chapter XXVII:34. Then came Eawahtah; came first to the kingdom of Took-shein, and to his queen, Che-guh, in the land Anagoomahaha, the flat-heads. Told them all the words of the Great Spirit, Egoquim. The Flathead Indian Reservation, located in western Montana on the Flathead River, is home to the Bitterroot Salish, Kootenai, and Pend d'Oreilles Tribes - also known as the Confederated Salish and Kootenai Tribes of the Flathead Nation. The reservation was created through the July 16, 1855, Treaty of Hellgate, and reservation has land on four of Montana's counties: Lake, Sanders, Missoula, and Flathead. The Flathead Indian Reservation, west of the Continental Divide, consists of 1,938 square miles (5,020 km2) (1,317,000 acres (533,000 ha)) of forested mountains and valleys. Native Americans have lived in Montana for more than 14,000 years, based on archaeological findings. Clovis-Anzick-1 ancient DNA "closely related to Native American people of Central and South America, rather than those of the Canadian and Arctic" This agrees with what Oahspe said in 1881, that the first Native Americans came from Guatemala in Central America (Guatama) not from crossing the bering strait in the Artic. 9. And these were the first tribes of I'huans in the land of Guatama (after the flood), and they dwelt together, marrying and begetting offspring, dwelling in peace. And the I'hins taught them in all things, so they became an honor on the earth and a glory unto the Creator; but they were mixed so together that one tribe had no preference over another. So, by commandment of God, they were called the tribe of Oedukakaooh, of the middle kingdom, Waneopanganosah (Central America). 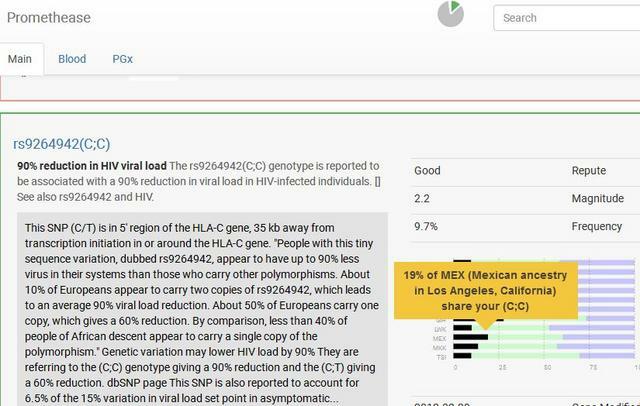 I would like to thank John Olson from GEDmatch for preparing an excellent tool to compare all ancient DNA uploaded to GEDmatch in one page. The tool allows to reduce the cM as low as 0.5. However, based on my experience and experiments, always try to use 1.5 to 2 cM and above. Minimum DNA GEDmatch for significant amount of common ancestry (500 SNPs and 2 cM). No Match between my DNA and Archaic Eskimo at 500 SNPs and 2 cM. Match at 500 SNPs and 2 cM threshold at Chromosome 6. I am interested to know what you think of my results. The woman above may be least 40 to 50 percent Native American DNA and at over 500 SNPs she has a 6.8 Cm match on Chromosome 1 to Archaic Clovis-Anzick of Montana. Her Chromosome segment length match to Clovis-Anzick is more than 3 times my Match. Q – Does my match to Anzick mean he is my ancestor? A – No, it means that you and Anzick share common ancestry someplace back in time, perhaps tens of thousands of years ago. Q – I match the Anzick sample. Does this prove that I have Native American heritage? A – No, and it depends. Don’t you just hate answers like this? No, this match alone does not prove Native American heritage, especially not at IBS levels [the segment is small and you can’t necessarily connect it to the ancestor]. If the segment match is large (at least 2 cM) and the SNPs are high (at least 500) I believe [based on research] there is a high chance of Native American heritage. His average DNA to Clovis-Anzick was 94.5%, almost 100 percent Native American. His largest chromosome match was 14.8 cM. Denise Neufeld above had a segment match almost half the size (45.9%, 6.8/14.8). A long-debated question concerns the fate of archaic forms of the genus Homo: did they go extinct without interbreeding with anatomically modern humans, or are their genes present in contemporary populations? to test whether patterns of neutral polymorphism in three contemporary sub-Saharan African populations are better explained by archaic admixture. Although whole-genome polymorphism data are now available from hundreds of samples (20), they do not include individuals from African hunter-gatherer populations, which serve as important reservoirs of human genetic diversity. Our study includes two such populations (Biaka Pygmies and San), along with an agricultural population from West Africa (Mandenka). We use a model of historically isolated subpopulations (17, 21) to predict patterns of nucleotide variation expected as a consequence of no admixture (null hypothesis) vs. low levels of admixture (alternative hypothesis). We apply two complementary coalescent-based approaches, a two-population and a three-population model to test the null hypothesis, and then estimate three key parameters: the time of admixture (Ta), the ancestral split time (T0), and the admixture proportion (a). The evidence for archaic admixture is extremely strong in the Biaka and the San (P < 10−4) but not in the Mandenka (P > 0.05). Geographic Surveys. A survey of the insertion that is diagnostic for the divergent haplotype at 4qMB179 (i.e., at position 179,598,847 in Table S3) in 502 individuals from West, East, central, and southern Africa reveals that it reaches its highest average frequency (3.6%) in Pygmy groups from west-central Africa (Fig. 4). The variant is also found at low average frequencies (0.8%) in some non-Pygmy groups from West and East Africa. An A→G mutation that marks the divergent haplotype at 18qMB60 shows a similar distribution—also reaching its highest average frequency in the Pygmy groups—although it is found at slightly lower frequencies than the variant at 4qMB179 (i.e., 1.6% vs. 3.6%, respectively). This variant is also found in some non-Pygmy groups, exhibiting similar average frequencies as the 4qMB179 variant in West Africans (0.8%), East Africans (0.8%), and southern Africans (0.5% vs. 0.0%, respectively) (Fig. 4). Interestingly, the distribution of the G→A variant marking the divergent haplotype at 13qMB107 exhibits a somewhat different geographic distribution, reaching its highest average frequency in our sample of southern Africans (6.3%, and especially in the San at a frequency of 11.9%) rather than in central African Pygmies (average of 5.2%). However, it is important to note that its presence in our sample of central Africans is entirely limited to the Mbuti, where it has a frequency of 14.8%. Mbuti from the Democratic Republic of Congo. Interestingly, the Mbuti represent the only population in our survey that carries the introgressive variant at all three candidate loci, despite the fact that no Mbuti were represented in our initial sequencing survey. Given that the Mbuti population is known to be relatively isolated from other Pygmy and neighboring non-Pygmy populations (26), this suggests that central Africa may have been the homeland of a now-extinct archaic form that hybridized with modern humans. Frequency of introgressive variants within three sequenced regions in an expanded sample of ≈500 sub-Saharan Africans (SI Materials and Methods). The filled bar represents the frequency of a variant marking the divergent haplotype at 4qMB179 (Left), 18qMB60 (Center), and 13qMB179 (Right) in each of 14 population samples. Each horizontal line on the bar charts represents a frequency of 5%. Our inference methods reject the hypothesis that the ancestral population that gave rise to AMH in Africa was genetically isolated and point to several candidate regions that may have introgressed from an archaic source(s). The pygmies have more archaic human (I'hins and I'huans) admixture, and the Mandenka, Ghanans, Ivory Coast, Nigerian, Bantu, Mali, and Senegal have less archaic human admixture and more modern (Ghan and Mongrel) admixture. I have more Biaka (Aka) Pygmy DNA than Mbuti pygmy DNA, and less San DNA. Since this is a 100% African test my European DNA shows up as North African, Nilo-Saharan, etc.. which is mostly Caucasion. The Aka or Biaka are related to the Baka people of Cameroon, Gabon, northern Congo, and southwestern Central African Republic. The Mbuti pygmies are of the far eastern Congo, farther from the West African coast (than the Biaka) where most of the slave trade was, so naturally I would have less Mbuti pygmy DNA than Biaka pygmy DNA. Shows percent of pygmy, San, and American Indian DNA. If you add up the Afican (W-African, pygmy, E-African, San) DNA from this test the sum is 70.31% which is close to the 72% from Ancestry.com. The 1.30% American Indian matches the 1% Native American of Ancestry.com. If you add up the European (Meditteranean, NE-Euro, Caucasian) from this test, the sum is 24.25% which is close to the 27% of Ancestry.com. On this test Papuan shows up as 0.12% which matches the Ancestry.com range of 0%-1% of Melanesia. Shows Meditteranean as 5.71% which matches ancestry.com Iberian Peninsula 5%. If you add up the African (Palaeo_African, East_African, Neo-African) the sum is 71.18% which is a close match to the 72% African of Ancestry.com. If you add up the European (Meditteranean, West_European, East_European) the sum is 24.45% a close match to the 27% of ancestry.com. Which shows these tests are not far off from each other and are close to the median of the minimum to maximum ethnicity elstimate ranges. Shows American Indian DNA percentage of 1.47% that matches 1% Native American Ancestry.com ethnicity estimate. The Oceanian 0.42% matches the 0%-1% range of Melanesia from Ancestry.com. The West_Med 5.10% matches the 5% Iberian Peninsula from Ancestry.com. The North_Atlantic 14.2% is a close Match to the sum of Ireland (13%) and Great Britian (3%) of Ancestry.com. It shows Sub-Saharan African at 65.74% which is a 91.3% match with the 72% of Ancestry.com. According to the previous DNA ethnicity estimate tests from my raw DNA data file the amount of African pygmy dna I have ranges from 0.50% minimum to 7.27% maximum, and 2.47% medium. This matches the common minimum to maximum range of ethnicity estimates for my other ethnic groups on Ancestry.com such as Mali (range 0%-7%), and Finland/Northwest Russia (0%-7%). Ancestry.com came up with an ethnicity estimate of 2% for both Mali and Finland/Northwest Russia in my DNA which matches the 2.47% medium estimate of pygmy DNA for me on GEDmatch. 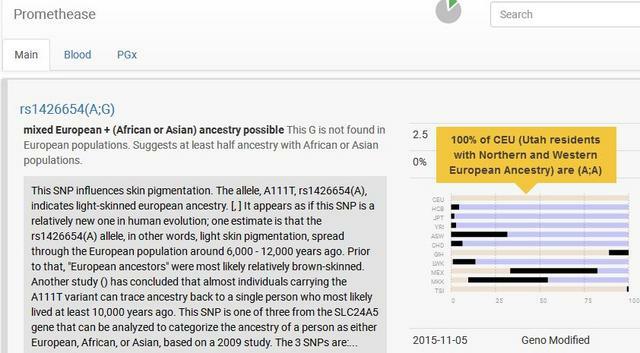 HarappaWorld is the most accurate DNA ethnicity estimate on GEDmatch. 2% ethnic DNA is considered significant, 1% and under is considered insignificant. I have eleven (11) ethnic regions 2% or more (6 from Africa, and 5 from Europe). Gerry Isaac Williams has 10 ethnic regions 2% or more. Gerry Isaac Williams is 33% Africa, 20% Asia, 15% Europe, 31% Pacific Islander. One of the most ethnicly diverse Ancestry DNA results so far (13 Ethnic regions of 2% or more). 14 ethnic DNA regions 2% or more (One of the most ethnicly diverse Ancestry DNA results so far). Ancestry.com DNA results 2015 (Dominican). 49% Europe, 32% African, 12% Native American, 5% Middle East, 2% Central Asian. 15 ethnic DNA regions 2% or more (Most ethnicly diverse Ancestry DNA results so far). and a Puerto Rican/Columbian and a Mexican. (asian is like inbetween black and white). 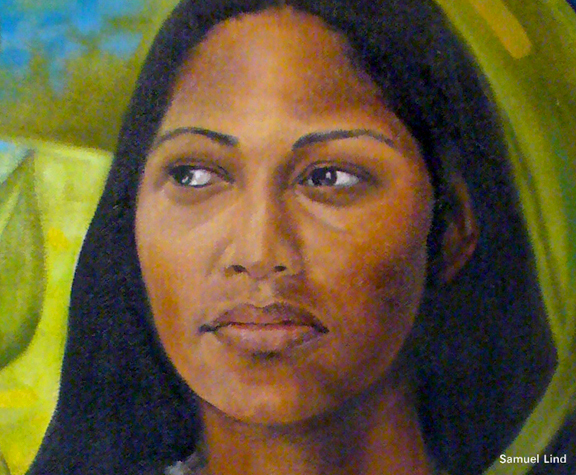 Puerto-Rican/Columbian was classified as white because almost 60% European, with less than 20% Black DNA. or caucasian Ghan (Ongwee-ghan and European). 12 ethnic DNA regions 2% or more (82% African, 16% Europe, 2% Asia). 8 ethnic DNA regions 2% or more (20% African, 79% European, 1% Pacific islander). 9 Ethnic DNA regions 2% or more (97% Europe, 2% Asia South, 1% Caucus). 10 ethnic regions 2% and more (85% Africa, 15% Europe). After restricting the SNP set from SNPedia to those with green painted alleles, i.e. “good”, there are 4967 SNPs with which to construct the “perfect human”(available for download here). 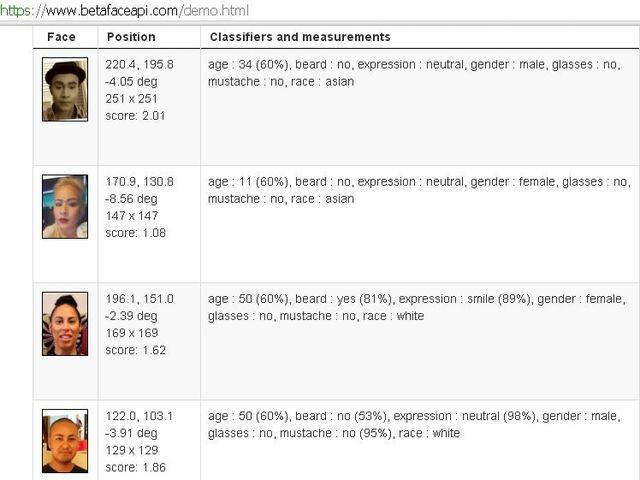 The nearest neighbor to the “perfect human” is HG00737, a female who is…Puerto Rican. The fact that the “perfect human” is Puerto Rican makes a lot of sense. Since many disease SNPs are population specific, it makes sense that an individual homozygous for all “good” alleles should be admixed. And that is exactly what Puerto Ricans are. In a “women in the diaspora” study, Puerto Rican women born on the island but living in the United States were shown to be 53.3±2.8% European, 29.1±2.3% West African, and 17.6±2.4% Native American. In other words, to collect all the “good” alleles it is necessary to be admixed, but admixture itself is not sufficient for perfection. Genotype Of The 'Perfect' Human Via DNA Ancestry (Dec 11, 2014). There is no "perfect human" because we all have bad and good genotypes, but the closest match to the perfect human with all good SNPedia genotypes is a Puerto Rican woman. the only reason a Puerto Rican sample shows the most beneficial alleles among peoples from the populations compared is that Puerto Ricans typically provide the most admixed samples. That is, virtually all Puerto Ricans carry a substantial proportion of three relatively well-studied populations: European, sub-Saharan African and the Native American. Thus, a Puerto Rican sample has the best chance of drawing “the best” or “the biggest mix” of alleles from all three ancestral sources. By contrast, the non-admixed populations can only have “the best genes” derived from the local ancestry. nick oldja 93% Europe has five (5) 2% or more ethnic regions, a low diverse result. Mark G. 95% Europe has seven (7) 2% or more ethnic origins, a moderate diverse result. thecolourofsunset is Mexican-American, 66% Europe (40% Iberian Peninsula), 28% Native American, 3% Africa (Mali, Senegal, Nigeria), 2% Asia East, and has 8 ethnic DNA regions 2% and over, moderate-high diverse results. African-Americans average 8.4 ethnic DNA regions. A wife of a friend of mine initials LJ is 99% Europe and <1% Caucasus has only 3 ethnic DNA regions of 2% or more, a very low diverse number. My friend HJ is African-American and his AncestryDNA results are 9 ethnic DNA regions, a high diverse number. Out of the many Ancestry DNA results I have seen posted, I have found African-Americans, Puerto Ricans, and Dominicans to have the most ethnic DNA diversity, the most Kosmon race-like. European-American populations are less genetically diverse and have more potentially harmful genetic variations than African-American populations, according to an international team of researchers. Study Finds Africans More Genetically Diverse Than Other Populations... because of historical migrations and genetic mixing across the continent. Her team looked at 98 African Americans from North Carolina, Baltimore, Chicago and Pittsburgh. The researchers determined that, on average, 71 percent of their genes could be traced to the far-flung African linguistic group Niger-Kordofanian, 8 percent to other African groups and 13 percent to Europe, with a smattering of genetic markers pointing to other places on the globe. But the percentages vary widely from individual to individual. In a conference call with reporters, Tishkoff said the 13 percent figure for European genetic markers may be a slight underestimate; other studies have found numbers closer to 20 percent. The vulnerability of a population to certain types of diseases can also increase with reduction in genetic diversity. Genetic diversity is so important because it helps organisms to cope with current environmental variability, as well as reduces potentially deleterious effects of close relative breeding. Genetic diversity is also the primary basis for adaption in the face of future environmental uncertainty. 29. ...for in kosmon, man shall go abroad into all countries, one nation with another; and they shall profit by wisdom, to bring forth a new race with all the glories selected from the whole. 37. But, in this era, I come not to an exclusive people,...Hence, I have called this, the KOSMON ERA. 38. Henceforth, my chosen shall be of the amalgamated races, who choose Me. And these shall become the best, most perfect of all peoples on the earth. "a new race with all the glories selected from the whole", "Henceforth, my chosen shall be of the amalgamated races, who choose Me". Above Kosmon amalgamated race genotype. Hopefully my own and others DNA results will inspire readers to get their DNA tested also. 25% Cameroon/Congo, only 3% Bantu, < 1% Nigerian, South-Central Hunter-Gatherers (Khoisan-San, Pygmy) < 1%. 72% to 28% DNA = 2.6 = golden ratio squared = alternating fibonacci sequence numbers ratio. When unity(1) is added to the Golden Ratio(1.6), the result is the Golden Ratio squared(2.6)! My Mother and I are descended from Pacific Islanders...Melanesians....dark skinned with blonde hair. Melanesians got their blonde hair from the I'hins who were white and yellow. My Ham (Africa) dna / my Shem (Indo-European) + Guatama (American-Native) dna = 2.6 = the Golden Ratio squared - unity (1) plus the Golden Ratio (1.6). Shem is the father of the Indo-European and Semitic peoples, most notably the Jews and the Arabs. The majority of Ham's descendants moved southwest into Africa, and were the forefathers of the nations there. 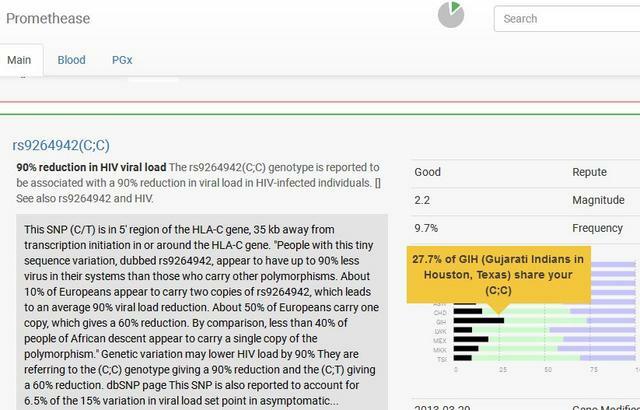 https://postimg.cc/Dmf6SVxC (almost same as AncestryDNA, 1% Persian added). The 1% possibly shows a full-blooded Persian and a full-blooded Native American 7 generations back. Members of the South-Central Africa group are the earliest human hunter-gatherers seen today primarily in the Mbuti Pygmies of the Congo. ...the Bushmen are the most ancient of human lineages. I probably have 1 percent or a fraction of 1 percent Jewish ancestry. Because when Ancestry.com processed my DNA they saw a 0%-2% range of European Jewish DNA which is the same range as my Africa South-Central Hunter-Gatherers DNA which they listed at < 1%, and the same range as my Native American DNA which they listed at 1%. 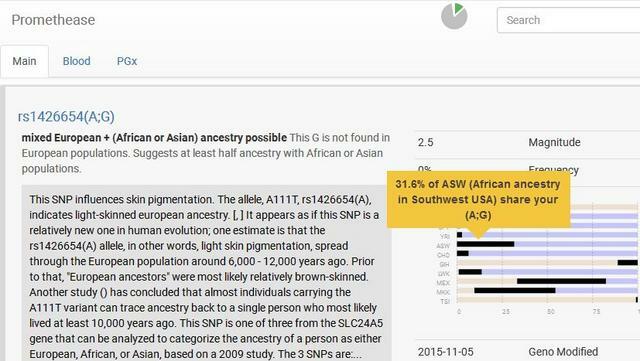 Ancestry.com rounds off all fractional DNA to the nearest whole percent, because of this some fractional or 1 percent ancestral DNA is not included in your ethnicity estimate. My Italy/Greece (Greco-Roman) Ancestry DNA. Ancestry.com saw a 0%-0% range, zero Greco-Roman ancestry, not even a fraction of a percent. Ancestry.com listed my Middle East DNA range as 0%-0% which means zero Middle Eastern DNA not even a fraction of a percent. My ancestral DNA in Asia goes through Persian (Asia Central), and European Jewish (which includes Asia Minor and Caucasus Jews), but not through Middle Eastern (Arabic). Ancestry.com listed my North African DNA range as 0%-0% which means zero North African DNA not even a fraction of a percent. My ancestral DNA in Africa is sub-Saharan but not North African. A number of genetic characteristics are associated with Ashkenazi groups, as opposed to other Jewish populations and other contemporary Middle-Eastern and European peoples. Certainly they are genetically distinguishable. “Compared with European samples, our Ashkenazi Jewish panel has 47 percent more novel variants per genome,” write the scientists. 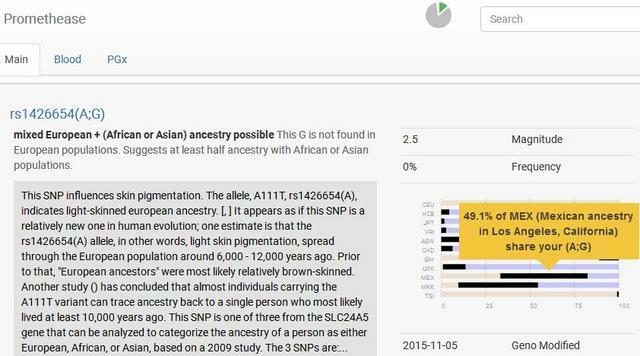 The Jtest is now available at GEDmatch. It is to determine if you have Recent Jewish ancestry. African (West + East) = 69.8% closely matches 70% of Familytreedna and 72% Ancestry.com. European (Baltic+East+North-Central+Atlantic+West_Med) = 26.46% closely matches 27% of Ancestry.com and Familytreedana. 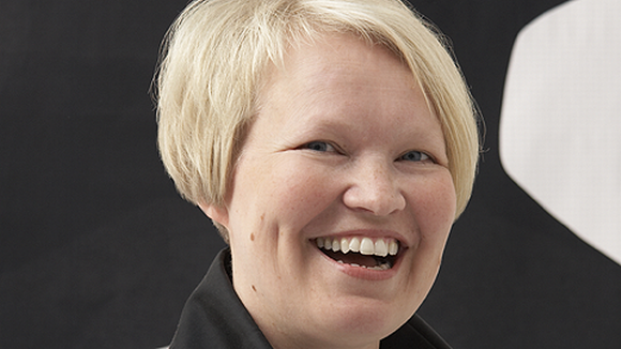 Most people are surprised when they discover that until as recently as the 1960s it was widely accepted that the Finns originally came from Mongolia. But the Mongolian ‘Origins of the Finns’ is a controversial topic in Finland. Finnish are more likely to carry the ADH-22 gene, a gene which is uncommon in many Western cultures, but has a high frequency in both Native American and Asian cultures. CONCLUSIONS: The high frequency of certain mtDNA haplotypes considered to be Saami specific in the Finnish population suggests a genetic admixture, which appears to be more pronounced in northern Finland. Furthermore, the presence of haplogroup Z in the Finns and the Saami indicates that traces of Asian mtDNA genotypes have survived in the contemporary populations. evidence for a substantial paternal genetic contribution of Asians to northern European populations such as the Finns. How come so many Finnish people look East Asian? The Mongol invasion of China spanned six decades in the 13th century and involved the defeat of the Jin dynasty, Western Xia, the Dali Kingdom and the Southern Song, which finally fell in 1279. The Mongol Empire under Genghis Khan started the conquest with small-scale raids into Western Xia in 1205 and 1207. By 1279, the Mongol leader Kublai Khan had established the Yuan dynasty in China and crushed the last Song resistance, which marked the onset of all of China under the Mongol Yuan rule. This was the first time in history that the whole of China was conquered and subsequently ruled by a foreign or non-native ruler, compared with the Manchus (who established the Qing dynasty) who did so a few centuries later. Mongolian Empire 13th Century A.D. The MDLP WORLD 22 is the only test results I know that seperates North American Indian DNA from Central, South American, and Arctic-American Indian DNA. Shows North American Indian 1.56%, Mesoamerican Indian 0.55%, South-American Indian - 0.00%, Arctic-Amerind - 0.00%. What is Raw DNA data? 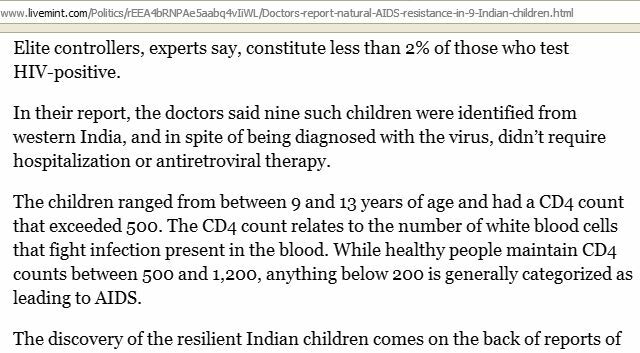 People with rs3732379(C;C) have increased resistence to HIV infection and resistence to developing AIDS. Some associations are clearly attributable to HLA-C/KIR interactions, as they involve both a KIR as well as an HLA-C component. The first description of an HLA-C/KIR association with clinical outcome was made in hepatitis C virus infection, which leads to a chronic viral infection in approximately 80% of infected people. In a large study of hepatitis C virus-exposed individuals, Khakoo et al.23 found a strong association between the presence of KIR2DL3, along with homozygosity for the C1 group of HLA-C molecules that bind to KIR2DL2 and 2DL3, and clearance of infection. Natural killer (NK) cells provide a central defense against viral infection by using inhibitory and activation receptors for major histocompatibility complex class I molecules as a means of controlling their activity. We show that genes encoding the inhibitory NK cell receptor KIR2DL3 and its human leukocyte antigen C group 1 (HLA-C1) ligand directly influence resolution of hepatitis C virus (HCV) infection. This effect was observed in Caucasians and African Americans with expected low infectious doses of HCV but not in those with high-dose exposure, in whom the innate immune response is likely overwhelmed. Much lower 0.15x risk of Type 1 Diabetes. Normal (lower) risk of Type 2 Diabetes and Gestational Diabetes. Presented by Professor Moses Schanfield, Ph.D. Professor of Forensic Science and Anthropology George Washington University. January 11, 2014. National Science Foundation Arlington, VA.
23andMe and Ancestry.com....how accurate besides the interpretation that they offer, how accurate is their technology in terms of how accurate are they reading the SNPs? The technology is accurate. Can we accurately determine a SNP, yes. Is the raw data [raw dna data file] they supply accurate? I would assume the raw data is accurate. You then would have to go look up at either Yale [University] site at Alfred [alfred - Yale University] or some other site [SNPedia or Promethease] all the information about those particular SNPs if they identify them. Dr. Schanfield was the director of Analytical Genetic Testing Center, Inc. in Denver, Co., a private forensic laboratory that was on the forefront of developing DNA technology for forensic science, and was involved with many of the early forensic DNA cases. The hippocampus ...is a major component of the brains of humans and other vertebrates. Because of its densely packed neural layers, the hippocampus generates some of the largest EEG signals of any brain structure. In some situations the EEG is dominated by regular waves at 3 to 10 Hertz [3.3 to 9.9 harmonic range of 3 associated with the rules of prophecy-vortex'ya, and the sacred sound of E-O-IH], often continuing for many seconds. These reflect subthreshold membrane potentials and strongly modulate the spiking of hippocampal neurons and synchronise across the hippocampus in a travelling wave pattern. This EEG pattern is known as a theta rhythm. Theta rhythmicity is very obvious in rabbits and rodents and also clearly present in cats and dogs. Whether theta can be seen in primates is a vexing question. In rats (the animals that have been the most extensively studied), theta is seen mainly in two conditions: first, when an animal is walking or in some other way actively interacting with its surroundings; second, during REM sleep. The function of theta has not yet been convincingly explained although numerous theories have been proposed. The most popular hypothesis has been to relate it to learning and memory. An example would be the phase with which theta rhythms, at the time of stimulation of a neuron, shape the effect of that stimulation upon its synapses. What is meant here is that theta rhythms may affect those aspects of learning and memory that are dependent upon synaptic plasticity. During sleep or during waking states when an animal is resting or otherwise not engaged with its surroundings, the hippocampal EEG shows a pattern of irregular slow waves, somewhat larger in amplitude than theta waves. This pattern is occasionally interrupted by large surges called sharp waves. These events are associated with bursts of spike activity lasting 50 to 100 milliseconds in pyramidal cells of CA3 and CA1. They are also associated with short-lived high-frequency EEG oscillations called "ripples", with frequencies in the range 150 to 200 Hertz in rats. Sharp waves are most frequent during sleep when they occur at an average rate of around 1 per second (in rats) but in a very irregular temporal pattern. Sharp waves are less frequent during inactive waking states and are usually smaller. Sharp waves have also been observed in humans and monkeys. Theta brain waves are the brain state of REM sleep (dreams), hypnosis, lucid dreaming, and the barely conscious state just before sleeping and just after waking. Theta is the border between the conscious and the subconscious world, and by learning to use a conscious, waking Theta brain wave we can access and influence the powerful subconscious part of ourselves that is normally inaccessible to our waking minds. While in the Theta state, the mind is capable of deep and profound learning, healing, and growth - it is the brainwave where our minds can connect to the Divine and manifest changes in the material world. Brain Waves Theta In the theta state of awareness, brain waves are oscillating between 4 to 5 cycles per second. 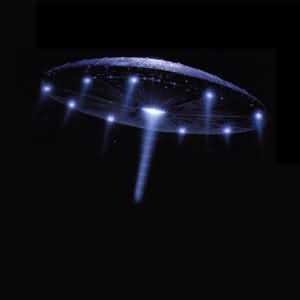 This is a state of mind where excellent psychic experiences can occur, astral projection and extended remote viewing. We generally experience the theta level in deep meditations and in our sleep state. Here we can transcend time and space, obtain remote perceptions, and obtain information from the highest source. With each brain state level that we descend, the closer we get to our Source, higher self, or the universal mind. While beta is highly exterior in focus, this is still very much an inward state. The beta state of awareness is related to our conscious thoughts; the theta state is related to our subconscious mind. Theta brainwave occur during deep relaxation and meditation, light sleep or lucid dreaming including the REM dream state. It is the realm of your subconsciousness, where the mind is capable of profound insight, advanced intuition, healing, and oneness – in Theta state our minds can connect to the universe and manifest life-enhancing changes. Lying in the middle of the brain is part of the temporal lobe called the Ammon's horn (Amuns Horn) or the hippocampus. In neuroanatomy, Ammon's horn is a metaphor that relates to the gods and the brain. Ammon's horn is the hidden creator, king of the gods, and the lord of the thrones of the world. Amun is 'The hidden one.'" Lord of the visible and the invisible worlds, he was the mysterious soul of the universe which reveals itself in light. Many ancient images depict Jupiter Ammon under the figure of a ram, or on medals and coins he appears in human shape with ram-horns growing out beneath his ears. Role of hippocampus in creativity, insight and problem solving. Our findings suggest that the human hippocampal formation specializes in the rapid establishment of new conceptual associations between items in memory. Importantly, we found that the hippocampal formation mediates the rapid encoding of new associations even when encoding (and later retrieval) were carried out without conscious awareness of encoding (and retrieval). Moreover, unconscious encoding affects the success of subsequent conscious encoding when the same, similar or different material is given for conscious learning. This influence of encoding across levels of consciousness was mediated by the hippocampal formation. The hippocampus plays a vital role in enhancing memory in those who are actively engaged in learning something new. It coordinates with other brain structures to accomplish different tasks, such as recognizing an object one has seen before or remembering its original location. (Credit: Graphic by Diana Yates. Brain by Andrew Giglio.). Dr. Christopher Fisher, Managing Editor for The Behavioral Medicine Report, received his PhD in Clinical Health Psychology & Behavioral Medicine from University of North Texas. His clinical training emphasized biopsychosocial approaches to health and wellness, including Cognitive Behavioral Therapy (CBT), neurofeedback, biofeedback, cranial electrical stimulation (CES), and QEEG. He is Board Certified in Neurofeedback (BCN) by BCIA. Dr. Fisher also received a master’s degree in Clinical Psychology from Texas A&M - Corpus Christi. Dr. Fisher maintains a private practice in Corpus Christi, Texas, and offers individual therapy, group therapy, peripheral biofeedback, and neurofeedback. VCE U4 Psychology - Brain mechanisms involved in learning. Long-term potentiation (LTP) is a persistent increase in synaptic strength following high-frequency stimulation of a chemical synapse. Studies of LTP are often carried out in slices of the hippocampus, an important organ for learning and memory. a junction between two nerve cells, consisting of a minute gap across which impulses pass by diffusion of a neurotransmitter. The Ethereans' brains, immune system, bones, muscles, organs etc... are superior to earth people's body. Most of the Ethereans' beneficial DNA is of the (C;C) genotype (single nucleotide polymorphism or SNPs). I come to these conclusions based upon extensive study and research of Oahspe and human genetics. 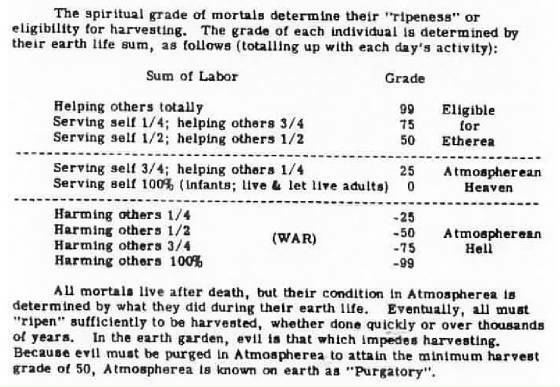 When the Angels came here to earth they had all the blood types (A, B, AB, and O) in them from corporeal man from when they died in infancy or fetus on other corporeal worlds. The Blood types would have been recorded in the DNA. DNA is a physical and non-physical vortexian record. When the angel hosts of Sethantes came to earth and inter-breed with Asu they passed on all the different corporean blood types (that was still recorded in their DNA from when they were a corporeal fetus or infant from another corporeal world like earth) to the I'hins. What made the angels different from the first earth man (Asu) was that they were capable of being taught spiritual things (they had an enhanced ability to learn) and Asu could not. The ability to learn is connected to the hippocampus (even the ancient Egyptians connected the hippocampus to the god Seth or the hosts of Sethantes). The C allele is connected to enhanced hippocampal volume, and enhanced ability to learn and remember. Like Asu the Druks were born not capable of being taught spiritual things. The Druks could not learn, could not understand what the I'hins said to them about spiritual things and the druks soon forgot what they were told (evidence of sub-normal hippocampus). Oahspe makes it clear it was the learning ability of the angels and I'hins that separated them from Asu or primitive earth man. 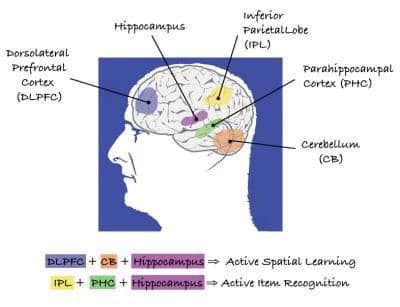 The hippocampus and the C allele is connected to enhanced learning ability. Blood types (A, B, AB, and O) are not connected to enhanced learning ability. Blood types are not responisble for enhanced learning ability that the angels and I'hins had (and Asu didn't have) but the hippocampus and the C allele is responsible for enhanced learning ability and is our connection to the Ethereans. Notice from above chart that O negative blood type is 8% in Caucasian and only 0.19% in African-Americans. 8 / 0.19 = 42.1 x more in Caucasians than in African-Americans. There is a theory that O negative blood type is a genetic mutation that came about as reaction to The Black Death which spread across Europe. Another theory is the O negative Rh- blood type came from Neanderthals. Recent studies proved the homosapiens interbred with neanderthals in Europe around 30,000 years ago and Europeans have the highest percentage of Neanderthal genes. Interestingly, Europeans also have the highest percentage of O negative Rh- people. If all mankind evolved from the same ancestor their blood would be compatible. Where did the Rh negatives come from? If they are not the descendants of prehistoric man, could they be the descendants of the ancient astronauts? This makes one believe as if Rh negative indicates the “presence of something rare in one’s blood”. But as we learn earlier, Rh negative indicates the “absence of the Rh D antigen” which otherwise is quite abundant in most (85%) humans. So what could be the contribution of alien blood here? Obviously, there is nothing alien here, because there is no alien genes present here, its actually the “absence” of our own genes which produce the Rh D antigen in most humans. The entire theory seems to have been built upon an incorrect understanding of blood groups, antigens and antibody response. Because Rh D is not the ONLY antigen either, in Rh group itself we have around 50 such antigens, and human blood group classification itself has around 32 types based on different groups of antigens. All animals and other living creatures known to man can breed with any other of their species. Relative size and color makes no difference. Why does infant’s haemolytic disease occur in humans if all humans are the same species? This seems to suggest that other animals are free from such instances of mother’s immune system attacking the child’s blood. Well, it is not. We have seen newborns die because of this attack even in horses and mules! It appears in all those species where the mother has a negative antigen blood group, and the fetus has a positive antigen blood group, and mother’s blood comes in contact with fetal blood. For that matter, it is not only restricted to Rh D antigen either. After all, it is also very much possible that mother whose blood group is O, gives birth to a child whose blood group is B, and if the mother’s blood comes in contact with fetal blood, then there will be antibodies against B produced by the mother’s blood! Its only that in this case it is not life threatening, while in the case of Rh D it can be life threatening to the baby. All combinations where mother is negative antigen, and child is positive antigen can cause scenarios where mother’s immune system produces antibodies against the child’s positive antigen. It is only that while some of them cause no harm, some cause mild issues, and the ones like Rh D can be severe. So there is nothing alien here, and this is a common evolutionary compromise across the human species. The hippocampus is a double arc or C-shaped structure formed by cutting open a torus. 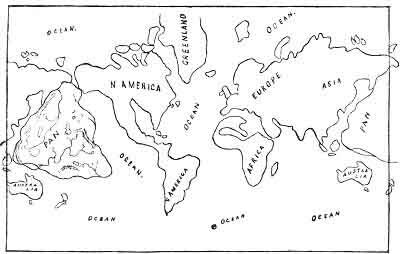 The Missing Triangle from Pangea however is not explained by “Continental Drift” or any other existing scientific theory. It has however been accounted for in the history of Oahspe and is the ancient continent of Pan, now submerged under the Pacific Ocean. 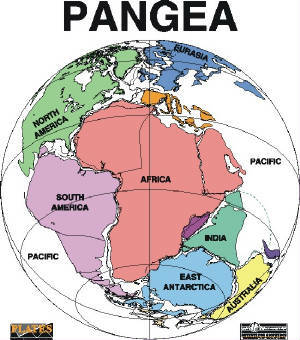 Missing Triangle from Pangea = missing land mass = if you put all the surviving continents together (North American, South America, Europe, African, Asia, Australia, Antartica) you will have a missing land mass = continent of Pan in the Pacific . 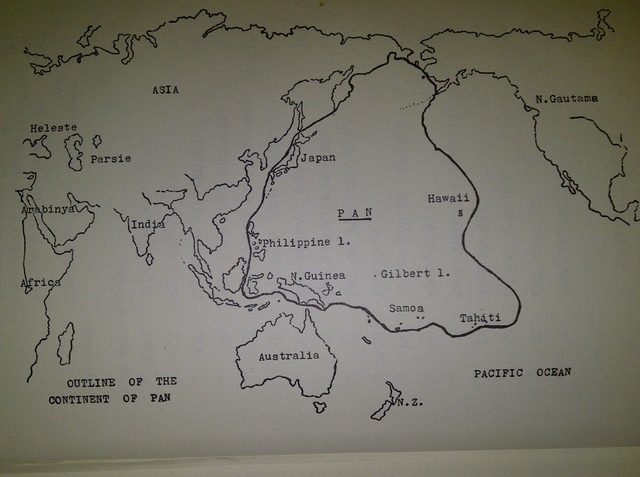 If you draw a line from Japan to Papua New Guinea to Hawaii and back to Japan= Triangle of Missing land mass = Pan. Plate 62--OUTLINE MAP SHOWING THE LOCALITY OF PAN, THE SUBMERGED CONTINENT. ^-- Removing OAHSPE's Enigma By Jim Dennon. OAHSPE is about the human crop cycles on this planetary garden. With a $20 or more donation I am also avaliable for a 30 minute phone consultation and I will answer questions you may have. Email me or leave a comment if you want a phone consultation.